MISSOULA, Mont. — A federal judge has put a 14-day hold on the first public grizzly bear hunts in Wyoming and Idaho in more than 40 years, as he considers whether the government was wrong to lift federal protections on the animals. 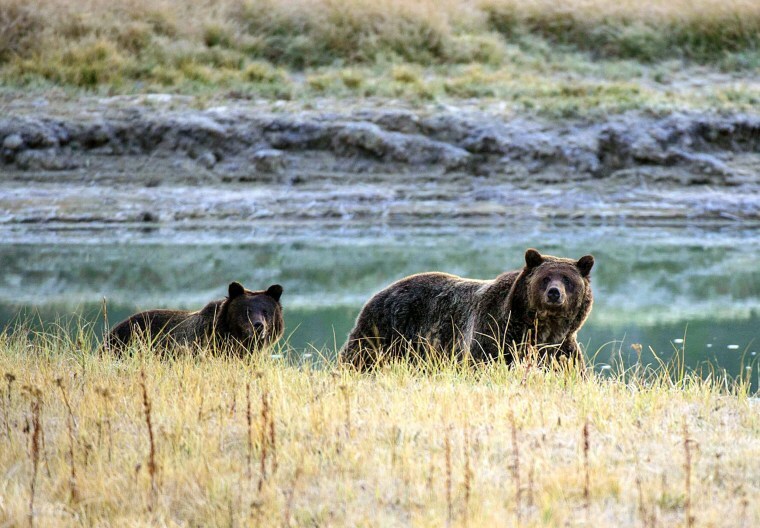 U.S. District Judge Dana Christensen's order came just two days before the states prepared to open their grizzly bear hunting seasons on Saturday, which would have been the first in the Lower 48 states since Montana's last hunt in 1991. "The threat of death to individual bears posed by the scheduled hunts is sufficient" to justify a delay in the state's hunting seasons, Christensen wrote. The move marked a victory for wildlife advocates and Native American tribes that sued over the U.S. Fish and Wildlife Service's decision in 2017 to lift federal protections for 700 grizzly bears in and around Yellowstone National Park. Todd Hoese, an accountant and hunter from Gillette, Wyoming, expressed disappointment in Christensen's ruling. "They're just looking at it from the bears' perspective," he said. "The way that nature works is a balance and we don't have that balance. ...There are too many bears now." Hunt opponents claim the U.S. Fish and Wildlife Service's decision last year that Yellowstone grizzlies are no longer a threatened species was based on faulty science. They also say they don't trust that the three states that have taken over bear management will ensure the bears' survival. They want the judge to re-classify the bears as threatened. Among their arguments in court, attorneys for advocacy groups questioned how other threatened grizzly populations in the Lower 48 states would fare if the Yellowstone bears' status changed. They also said the federal wildlife agency ignored recent spikes in overall bear deaths that, when hunting is added to the mix, could cause an unanticipated population decline. Roger Phillips, spokesman for Idaho Fish and Game, said he wasn't aware of the ruling and did not have an immediate comment. Prior to Christensen handing down Thursday's order, Wyoming officials said they were willing to make adjustments to the state's hunting season, but placed a condition on doing so. Erik Petersen, Wyoming's senior assistant attorney general suggested the judge leave Wyoming, Montana and Idaho in charge of managing the bears — even if he decides the U.S. Fish and Wildlife Service needs to revise its rule declassifying grizzlies as threatened. Department of Justice attorneys said the Fish and Wildlife Service considered all the plaintiffs' arguments and proceeded with lifting protections because there was no threat of extinction to the bears now or in the foreseeable future.